If you can imagine it you can make it. 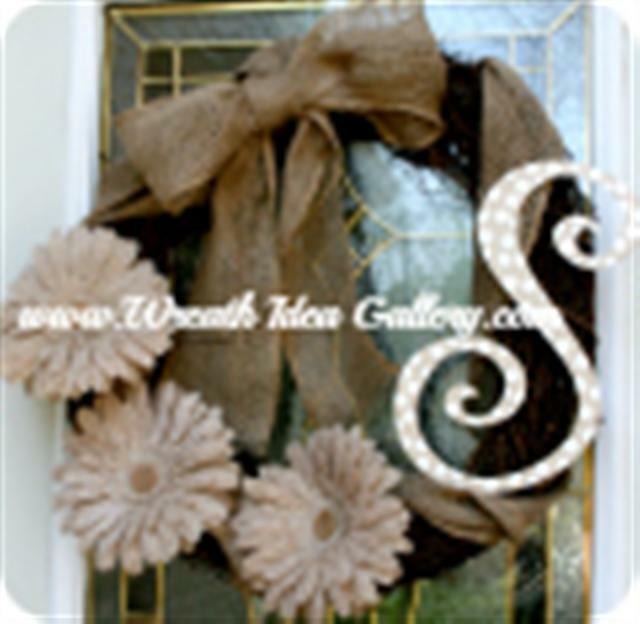 Unique Wreath Ideas are just a thought away. On a trip to Chicago I spotted this unique wreath hanging in the Apple store. 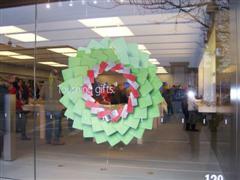 Made with mock green iPads and red iPhones this made a beautiful eye-catching wreath to welcome people during the Christmas season. Do you have Unique Wreath Ideas that you would like to share? *Try to ignore the cupcakes they do look good. 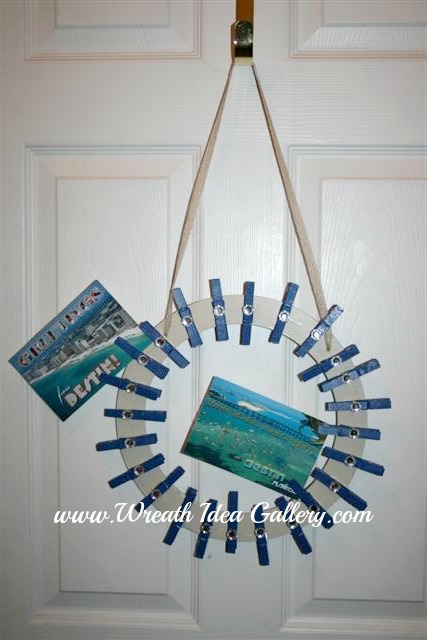 Fun wreath to make for any occasion hang your memories on this clothespin wreath. This one was made for a couple that travels, you can make one for Baby showers, wedding showers for the bride-to-be, birthdays, anniversarys, graduations. The possibilities are endless. What unique ideas do you have for a wreath? 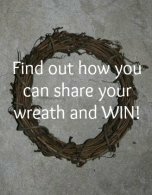 If you have made a wreath that is a little different we would love for you to share it. What about a garden hose wreath , yarn wreath, or a bicycle tire wreath these are pretty unusual but would certainly be quite unique, one of a kind, conversation pieces. 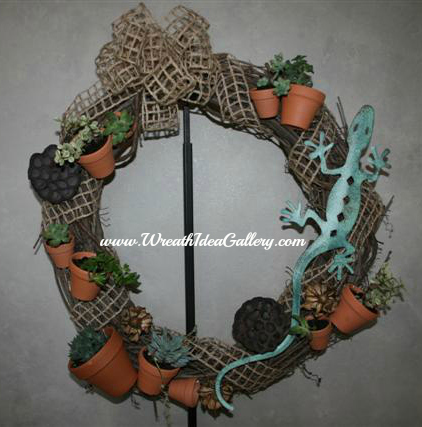 This succulent wreath is a fun wreath for s sunny spot. Easy to follow instructions on how I made this one, but would love to see your succulent wreath. Now here is a good way to recycle your phone book!